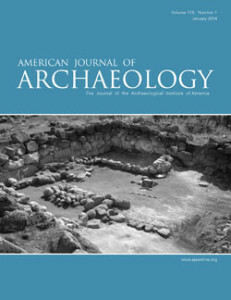 An email from a journalist inquiring about the Garni Temple pointed me to an interesting project: My Armenia, a collaboration between the Smithsonian Institution, USAID, and Armenia itself. The project seeks to document the cultural heritage of Armenia. 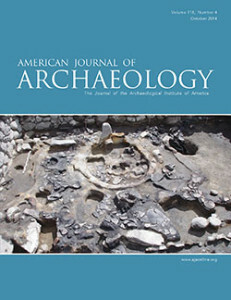 The Smithsonian’s website has also increased the attention it pays to the country, running articles on the Garni Temple, as well as on issues of the biology and geography of Armenia. 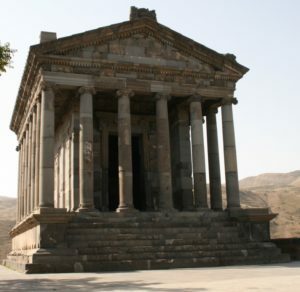 The Garni Temple. 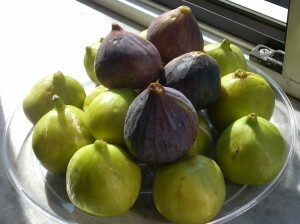 Photo by E. Fagan. This entry was posted in Archaeology, History and tagged Architecture, Armenia, cultural heritage on January 5, 2018 by Elizabeth. Groundtruthing, or checking out on the ground anomalies and architecture seen in the satellite imagery, is a necessary step in identifying cultural remains. We went high on the slopes of Mt. 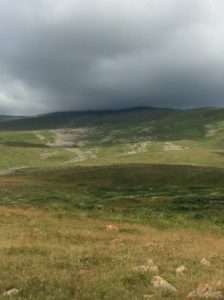 Aragats yesterday, to take a look at a site that looked like a settlement with some recent activity. 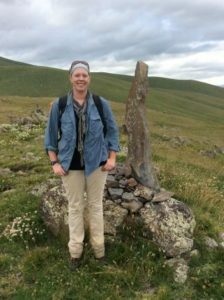 Amongst the architecture, we found a fascinating series of stacked and standing stones picking out a roughly north-south line across the summits of multiple slopes. However, we were already high up on the flank of the mountain, high enough that the “scree” drainages in this photo are actually made of boulders — and high enough that the cloud obscuring the summit was worrisome. 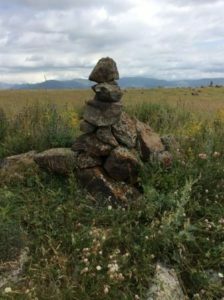 This entry was posted in Archaeology and tagged Armenia, Learning experience, Survey on July 29, 2016 by Elizabeth. One way to conduct an archaeological survey is to examine satellite imagery as a way to focus attention on particular areas. 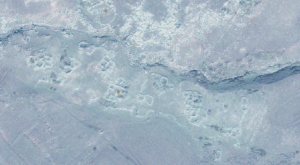 This summer, the Kasakh Valley Archaeological Survey looked at high resolution satellite images of the area east of Mt. 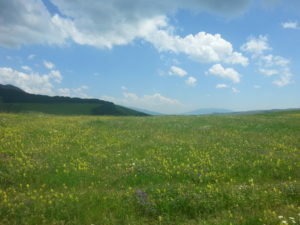 Aragats and identified a number of intriguing sites. In this case, I found a series of rooms that seem to be enclosed by a wall, to the south of the shallow gorge in the upper third of this image. We established that it was within our survey area and the next morning, off we went to take a look. After a first attempt to drive there in our UAZ, we circled around from the north and hiked in across the gorge. This entry was posted in Archaeology and tagged Armenia, Middle Ages, Survey on July 14, 2016 by Elizabeth. 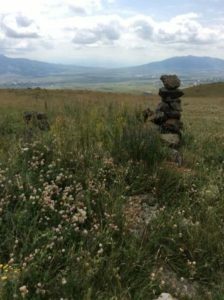 Project ArAGATS, the joint Armenian-American project on the Archaeology and Geography of Ancient Transcaucasian Societies, has begun surveying the Kasakh River valley in central Armenia over the past couple of years. We’re recording burials, burial clusters, settlements, fortresses, stelae, evidence of Soviet-era land amelioration practices, and more. This year, we’re working around the northeastern foothills of Mt. 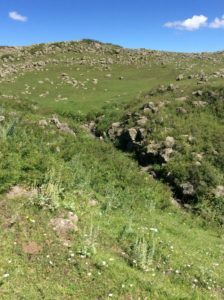 Aragats, to continue the project of understanding the relationship of ancient architecture and material culture to ancient life. 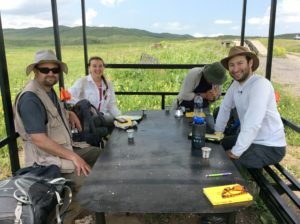 Ian Lindsay and Alan Greene are co-directing the survey this year, with multiple team members from Project ArAGATS, including Salpi Bocchieriyan, and Karen Azatyan, pictured here with Ian and Alan on a well-deserved coffee break after a morning of tromping around the mountains. To keep up with the excitement of counting sherds and obsidian flakes, or other aspects of Project ArAGATS’ multiple projects, follow @egafagan and @aragatsfound on Twitter. This entry was posted in Archaeology and tagged Armenia, Survey on July 3, 2016 by Elizabeth. 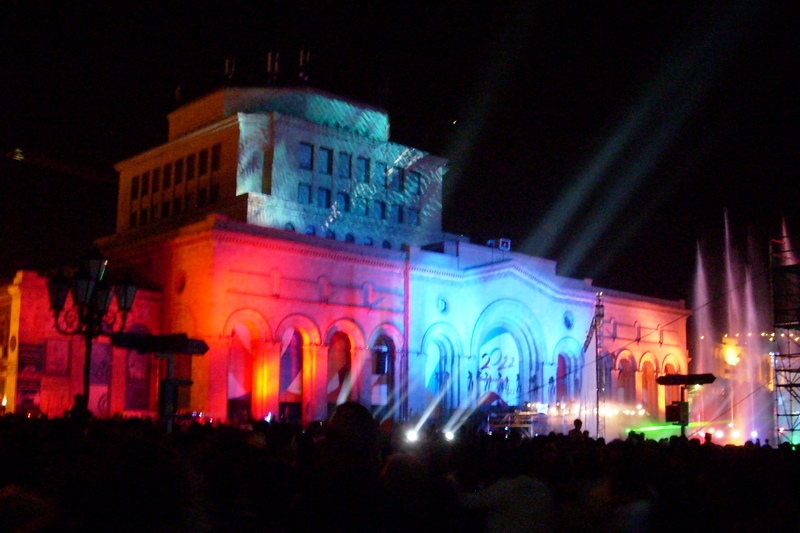 On September 21st, Armenia celebrated its 20th anniversary of independence from the Soviet Union. There were concerts, dance performances, and a general party atmosphere all over the center of Yerevan. In the evening, Republic Square was transformed into one large concert- and show venue, where a full orchestra played while dancers danced, singers sang, and a visual history of Armenia was projected onto the History Museum of Armenia as well as the two government buildings flanking it (the ministries of Foreign Affairs and Finance). I’ve never seen anything like the light show played on the buildings; these photos don’t do it justice. 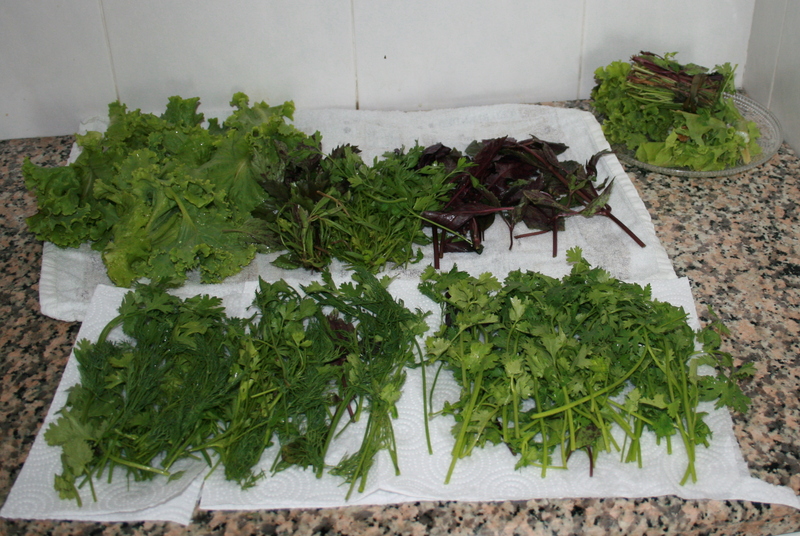 It was really remarkable. This entry was posted in General musings, History and tagged Armenia, celebrations, Friends, Independence, Soviet period on September 24, 2011 by Elizabeth.